After making some mid-year changes in 2018, Hyundai largely kept the 2019 Sonata the same. All of the mid-2018 changes have carried over to the 2019 model. The only major difference in 2019 is the elimination of the "plus" designation. The mid-year changes included enhanced safety features including blind-spot detection and lane-departure warnings; the option of an 8-speed transmission for the 2.0-liter turbocharged four-cylinder engine; stiffer suspension; new technology such as second-row USB, Amazon Echo, and bird's eye view navigation; and new exterior styling including new wheel and taillight designs, chrome trim at the windows, and better headlights with optional LED. The 2019 Sonata offers six different trims: SE, Eco, SEL, Sport, Limited, and Limited 2.0T. Standard features for all trim levels include front air-conditioning, a first-row LCD monitor, and remote keyless entry. The Eco trim level comes with a 7-speed transmission as opposed to the standard 6-speed. The SEL features 17-inch painted wheels, dual-zone air conditioning, heated front seats, Sirius radio, driver lumbar support, and heated mirrors. In the Sport edition, you'll find a tinted first-row sunroof and cloth and leather seat trim. The Limited offers all-leather seat trim. In the Limited 2.0T, Hyundai offers an 8-speed transmission, first and second-row sunroofs, 18-inch aluminum wheels, a navigation system, and parking assist. In terms of horsepower, the 2018 Hyundai Sonata varies based on the trim level. The SE, SEL, Sport, and Limited have 2.4-liter engines, 185 horsepower at 6000 rpm, and 178 ft-lbs at 4000 rpm of torque. The Eco sports a 1.6-liter engine, 178 horsepower at 5500 rpm, and torque of 195 lbs-ft at 1500 rpm. The Limited 2.0T features a 2-liter engine, 245 horsepower at 6000 rpm, and 260 lbs-ft of torque at 1350 rpm. The engine of the Sonata is designed primarily for efficiency, and the 2019 doesn't disappoint in that regard. This model comes in at 34 miles per gallon highway while still being fun to drive for the average driver. 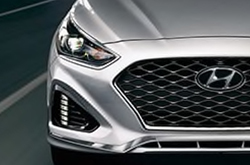 The Hyundai Sonata has a good reputation when it comes to safety, and 2019 is no different. 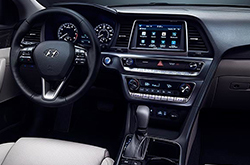 The National Highway Transportation Safety Administration gave the 2019 Hyundai Sonata a solid 5-star rating, with perfect scores across the board. 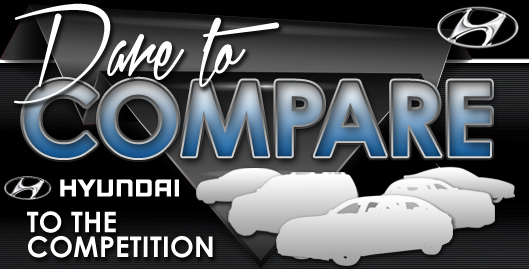 The Insurance Institute of Highway Safety also gave the model ratings of "good" in all areas. The list of standard safety features for this model are extensive, living up to the high safety ratings. Standard features include child-seat anchors, dual front side-mounted airbags, front and rear head airbags, stability and traction control, emergency braking assist, a blind spot warning system, daytime running lights, tire-pressure monitoring, 4-wheel ABS, and ventilated front disc/solid rear disc brakes.